When you picture classic holiday destinations, you’d be forgiven for not immediately thinking of the Balkans. We reckon that’s a crying shame though because the Balkans are actually home to some of the best adventure destinations that Europe has to offer. There’s epic mountain ranges here for one thing, spectacular rivers and canyons for another, and, most importantly of all, pints of beer for under £1.50. Honestly. What more could you want? Montenegro literally translates as ‘Black Mountain’. This might sound pretty ominous, like something you’d find on a map of Middle Earth right next to Sauron’s flaming eye, but beneath the country’s scary name sits a place so beautiful, and unexplored, upon visiting it you’ll feel like you’ve stumbled across the continent’s best-kept secret. If rafting floats your boat (sorry), Montenegro has a whopping 27 rivers for you to enjoy. Navigating the length of the mighty Tara River, in Durmitor National Park, is one seriously wet, seriously wild, ride and one that you’ll never, ever, forget taking. Step aside, Huckleberry Finn. Your time is at an end. The country is also home to dozens of peaks above 1,600 metres, the highest of which is Bobotov Kuk (2,522m). Those who summit this impressive mountain are rewarded with some of Europe’s most awe-inspiring views, and more than enough photo opportunities to run your battery down to zero. Not only is Bulgaria the name of the definitive Womble (Great Uncle Bulgaria, as if you needed to ask), it’s also one of the most stunning, action-packed, outdoor destinations you’ll find anywhere in Europe. With skiing, snowshoeing, hiking, rock climbing, Via Ferrata, trekking and so much more to be done here – it’s got enough stuff going on to satisfy your seemingly unquenchable thirst for adventure multiple times over. One of the best reasons to come to the Balkans, and Bulgaria specifically, is the opportunity to claim the ‘Crown of Musala’. It might sound like we’ve slipped back into Lord of the Rings references here, but the ‘Crown of Musala’ is actually a popular trekking route which takes in the ruggedly handsome Trionite ridge of Malka Musala (2,902m), Irechek (2,852m), and Musala (2,952m). If bagging big ones is what you’re about, Musala is officially the highest peak in the Balkan Peninsula. Get it on your list. 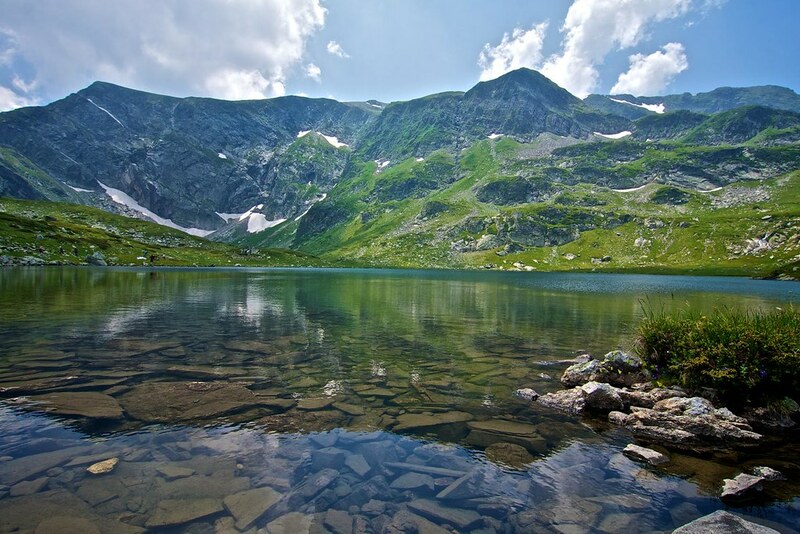 If that’s not enough to get your juices flowing, the Seven Rila Lakes, in the magnificent Rila Mountains is without a doubt one of the most beautiful sights to behold in Bulgaria. This group of seven glacial lakes sit between 2100m and 2500m above sea level and connected by small streams. Don’t be fooled into thinking once you’ve seen one, you’ve seen them all, each one has it’s own distinct features and local names, such as The Tear, The Eye, The Kidney… you’ll have to visit to figure out why. Lennon and McCartney. Simon and Garfunkel. Bosnia and Herzegovina. Sometimes in life, the best things come as a pair. And for those of you who live for that sweet rush of adventure (and we know that includes a lot of you reading this now), one of the very best things out there at the moment is the duet of Bosnia and Herzegovina. Home to almost unimaginably high quantities of jaw-dropping scenery, lovers of the outdoors really do need to pay a visit to this astonishing country. If you love trekking, then a hut-to-hut trek across the Prenj mountain range – a trek which takes in three different peaks above 2,000 metres – is an absolute must. But if you fancy getting wet, the equally impressive Rakitnica Canyon, wedged between the Bjelašnica and Visočica Mountains, and only really frequented by goats, can be experienced by slipping into a wetsuit and posting yourself through the narrow gulleys and plunging into deep its pools. Alternatively, you could always get your teeth stuck into something a little meatier. Say, a week-long hike on the otherworldly Via Dinarica Trail? The Via Dinarica is an absolute beast of a trail, one that extends all the way from Albania to Slovenia. The general consensus on the Via Dinarica though, and this is from people in the know, is that within Bosnia and Herzegovina’s borders sits some of the epic route’s most delicious bits. 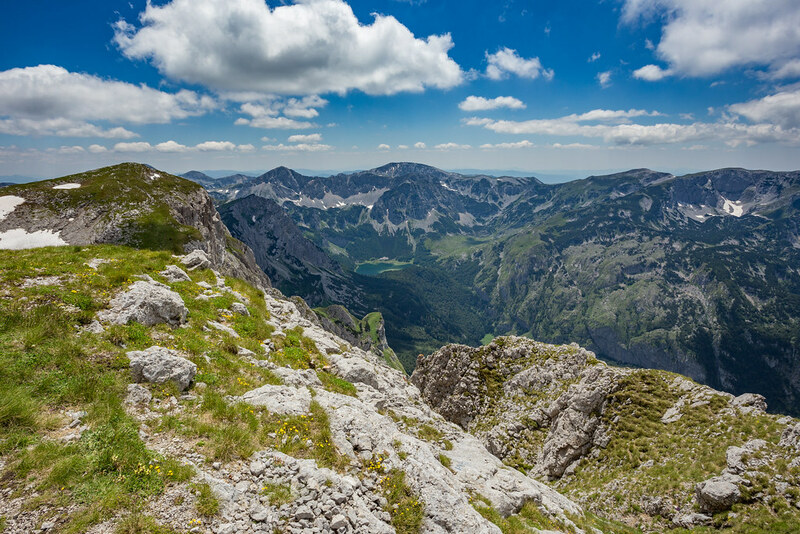 For example, Bosnia’s highest peak – the magnificent Maglic (2,386m). Slovenia isn’t the biggest country in the world. In fact, it’s only about a twelfth the size of the United Kingdom. What it lacks in square mileage however, it more than makes up for with its heart-melting beauty and untapped potential for adventure. Let’s serve up some numbers to really drive home the point about this place being a paradise for outdoor lovers. Slovenia has an incredible 2,118 mountains, 10,000km of hiking trails, and 321 lakes inside its borders. Read those numbers again. They’re impressive right? In terms of what to do when you’re in Slovenia, well… the world’s your oyster on that score. Considered a rite of passage for many Slovenians, you’re welcome to take on the country’s highest peak – Mount Triglav (2,864m). Alternatively, why not do some SUP boarding through the heart of Ljubljana or swim in Lake Bled or one of the other 321 lovely lakes? With the Balkans already being a bit of a curveball on the holiday front, I think there’s an argument to be had that says Albania is the biggest curveball of the lot. However, just because something is a bit of an unknown entity doesn’t mean it’s not bursting at the seams with adventure-potential. In fact, you could argue that it’s Albania’s mystery that makes it such an exciting prospect for exploration in the first place. 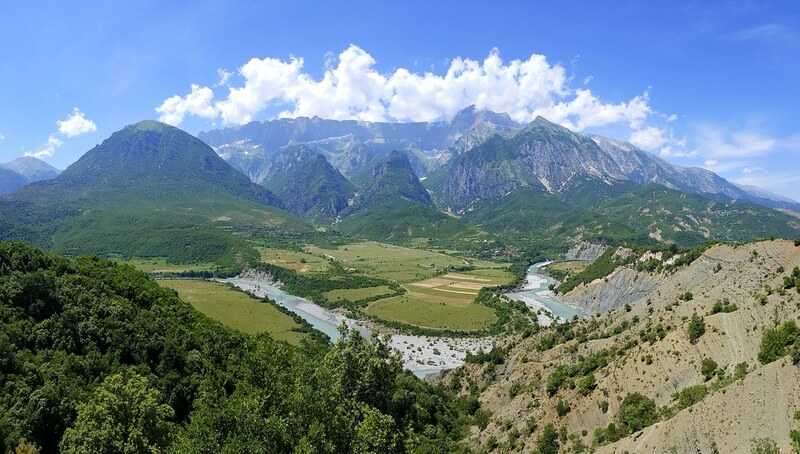 On a serious note, Albania’s beautiful Vjosa river is currently under threat by plans to build an electric dam so by combining your visit to the country with a rafting experience not only will you be having the adventure of a lifetime in Albania – you’ll also be doing your bit to help preserve a river’s natural biodiversity. We have joined in the fight. Other water-based fun can be had here in the form of kayaking and snorkelling. On the subject of snorkelling, Albania has 265 miles of Adriatic/Ionian coastline and some genuinely stunning underwater vistas. If dry land is more what you’re about, the country’s Karaburun Peninsula has some excellent hiking opportunities. Something for everyone in Albania then. Go forth and explore. You’ll love it. Explore our hand-crafted trips in the Balkans, and other epic adventures with the best local guides and hosts.